Working at GW is an experience that allows each individual an opportunity to grow both personally and professionally. Every day there are new and exciting events, activities, classes, and other opportunities to take advantage of as a GW employee. 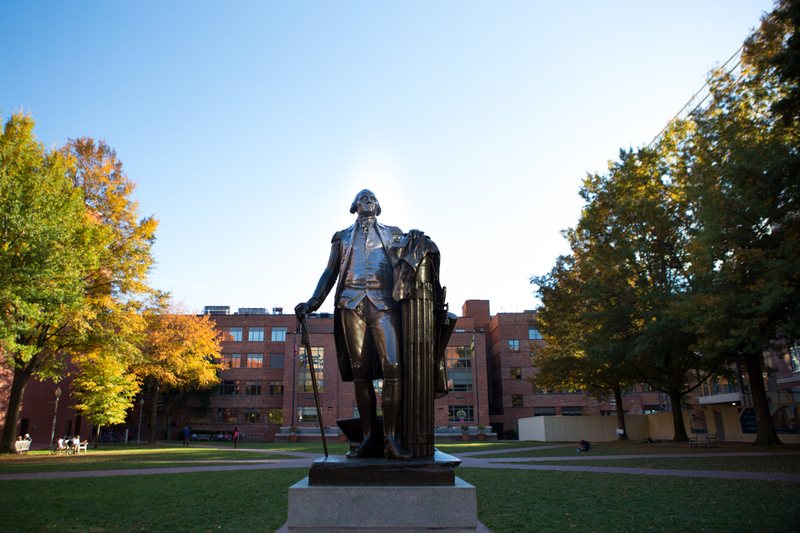 A number of departments on campus offer reduced tickets to GW faculty and staff. Explore all that GW has to offer. The Proud to Be GW Festivals are held in summer every year to show appreciation to GW Staff and Faculty, to demonstrate our GW pride, and to build our university community. The Proud to be GW Festival is a time for fun, food, games and GW spirit. Your contributions make a difference in the lives of the more than 25,000 students who live and learn on our campuses. For questions about the festivals, email [email protected]. Pictures from the 2017 Foggy Bottom Campus celebration. Pictures from the 2017 VSTC celebration. Watch our video compilation of the 2014 Festivals & Flash Mob! Every day there are new and exciting events, activities, classes, and other opportunities to take advantage of as a GW employee. 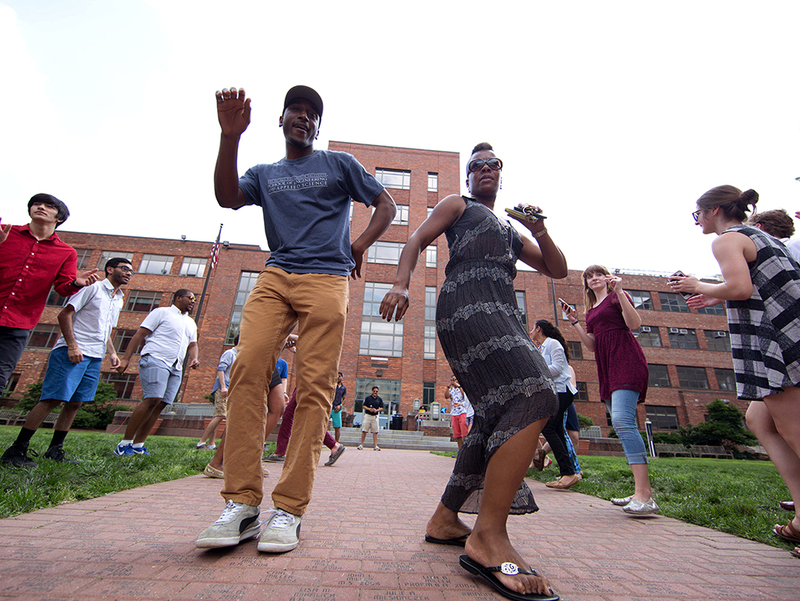 Many events and attractions are free, and a number of departments on campus offer reduced rates for ticketed events to GW faculty and staff. Take a look at a variety of GW calendars and find out what's going on all around the university. The Luther W. Brady Art Gallery houses art from around the world and across the campuses. As an educational gallery, the Luther W. Brady Gallery showcases art from university-related shows, as well as pieces from the permanent collection. Visit the gallery’s website to learn more about the current exhibit, and stop by the gallery to see the spectacular art. Focused on art, history, and culture, the George Washington University Museum and The Textile Museum showcases five thousand years of textile art from around the globe as well as the Albert H. Small Washingtoniana Collection of artifacts that tells the story of our nation's capital. One of the best ways to protect yourself from the flu is by getting a flu shot. GW offers seasonal flu shots to faculty and staff during open enrollment. Faculty, staff, and household members on our health insurance plan also are eligible to receive free flu shots through UnitedHealthcare. The GW Hospital offers weekly seminars on a variety of health-related topics. Seminars are free and open to the public. You might also want to check out the Free Prostate Cancer Screenings that are offered by the hospital every Friday morning. GW staff are invited to join The George Washington University, the National Press Club, and the Shorenstein Center for the highly acclaimed public affairs series, "The Kalb Report." Marvin Kalb, a distinguished journalist and scholar, hosts one-on-one interviews and panel discussions with many of the biggest names in journalism, government, and politics. The show takes place at the National Press Club before a live audience. The GW Music Department regularly offers performances that are free and open to the public on both the Foggy Bottom and Mount Vernon campuses. o learn more about the performance groups on campus, contact the GW Department of Music, at 801 22nd Street, NW, Phillips Hall, B 144T or call 202-994-6245. Lisner Auditorium is a multi-purpose entertainment facility right on GW’s Foggy Bottom campus that offers a wealth of talent from around the country and around the world. Lisner Auditorium offerings include African dance troupe tickets, symphony orchestra tickets, ballet tickets, theater tickets, jazz tickets, soloist tickets, recital tickets, and more. The Corcoran School of the Arts and Design provides a year-round forum for the exhibition of work by students and visiting artists. In addition, graduating seniors and graduate students have the opportunity to exhibit the culmination of their Corcoran School studies in a thesis exhibition titled NEXT at the end of the academic school year. Located in the historic Flagg building at 500 17th St. NW, most of these events and exhibits are free for faculty and staff. To see various information on tickets to GW Athletic Teams and other events, including season pass tickets for basketball games, contact the GW Athletic Department Ticket Box Office, 600 22nd Street, NW, or call 202-994-6050. For tickets to performances by the GW department of Theatre and Dance, visit Marvin Center, Suite 227, 800 21st Street, NW, or call 202-994-8072. Your Life at GW wants you to enjoy your time away from work too. Check out the events we've found around the Washington, DC metropolitan area so that you can relax and enjoy your weekend! Check out the City Paper for events around DC, including book readings and galleries. Want to take dance lessons? Check out the Chevy Chase Ballroom and its calendar of classes to see if anything makes you want to move. Cox Farms operates a 116-acre farm in Centreville and two farm markets, one located in Vienna, and the other on the farm in Centreville. In the fall, they invite the Washington metro area to the farm to share in the harvest festivities and enjoy their annual Fall Festival. Have you seen those big, red double-decker buses driving around D.C.? If you’re new to DC or just want to take a tour of the city that you love then try out these double-decker tours. Most tours allow you to hop on and off, so you can go to specific places and then rejoin the tour later. Visit the first and only public museum in the United States solely dedicated to espionage and the only one in the world to provide a global perspective on this all-but-invisible profession. Interested in the arts, but wary of the prices? The Kennedy Center offers free events, no tickets required. Visit the new Newseum on the weekends and gain a better understanding of the news and why it is so important. Looking for a new restaurant to try? Check out Washingtonian's guide to top restaurants and cheap eats around DC. With 19 world-class museums, a zoo, and 9 research centers all offering free admission and tons of special events, there is something for everyone! Need something to do during your time off? Check out the Calendar of Events at the Capital One Arena to see if an entertainer or team you love is coming to DC soon. DC offers many opportunities to cheer on its professional sports teams. Make a trip to the Capital One Arena see the Capitals, Washington's professional hockey team. For a fun a day at the ballpark, check out the website for Washington Nationals. Visit the website for the Washington Redskins for ticket information and schedule for football games.